I recently became an affiliate blogger with Family Christian Stores, and that does really excite me. I love going into their stores to browse and just see what comes to my attention! That does mean that any time I'm sharing about titles from Family Christian Stores, I will be using affiliate links. That is something new and different for me. One thing I love about Family Christian Stores that I didn't know before is that they are a non-profit. Their earnings are donated to "Christian causes around the world." This process started in 2012, and it makes me want to purchase materials from them. This post is a chance to show some of the titles they have coming soon. I have not seen any of these myself, but I may just need to look into some of them! 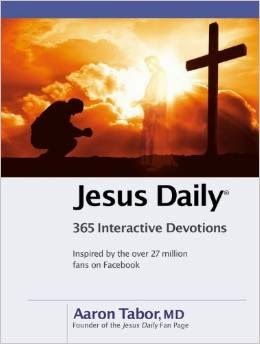 The first is Jesus Daily: 365 Interactive Devotions, by Aaron Tabor. Aaron is the founder of the Jesus Daily Fan Page, which is not something I had ever heard of. I'm intrigued though. Interactive daily devotions? I may just check this one out. This is available in October, but you can pre-buy now for $9.97. The next one is also coming out in October. 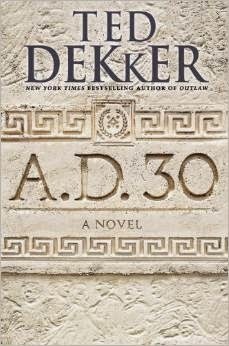 Ted Dekker's A.D. 30: A Novel is bound to be exciting and action-packed. Obviously, you know when this is set. The main character, Maviah, is the daughter of a powerful Bedouin sheik, and she finds herself needing to help forge an alliance with King Herod. On her way to attempt that, she encounters a teacher in the desert, Yeshua. I'm interested. The publisher description at the website is better than mine though. This one you can pre-buy for $14.97. Joyce Meyer has a new book coming out September 16. 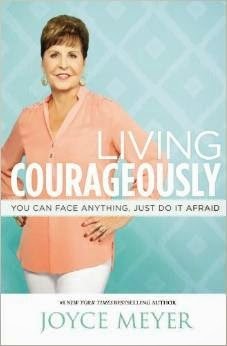 Living Courageously: You Can Face Anything, Just Do It Afraid most certainly has a title that makes me want to read it! This book obviously addresses fear and how that holds you back. "Fear not" appears over and over in the Bible, and this book is about relying on God even when you are afraid. You can pre-buy this for $14.97. 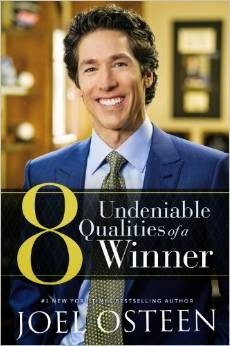 Finally, You Can You Will: 8 Undeniable Qualities of a Winner by Joel Osteen is set to release September 30. I'm not a fan of Osteen personally, but the attributes being discussed in this book sound right on. Create bold visions - Dare to dream big dreams. Run your own race - Focus on your unique course and goals. Think positively - Control your thoughts and attitudes. Expect Good things to happen-Anticipate great opportunities. Stay Passionate - Light the fire within and approach life with enthusiasm. Commit to excellence - Do your best and maintain high standards. Keep growing - Deal withyour weaknesses and continually improve. Serve Others - Invest yourself in others. You can pre-buy this title for $14.97. These are just some of the fun, new titles coming out. Also, this week, you can get a deal on one regularly priced item too. Disclaimer: As a Family Christian blogger, I had the opportunity to post about these specific titles in exchange for a gift certificate. Purchases made through the links above could make me eligible for an additional gift certificate, in addition to the affiliate income. This post is an endorsement of Family Christian, but not necessarily of the specific book titles.